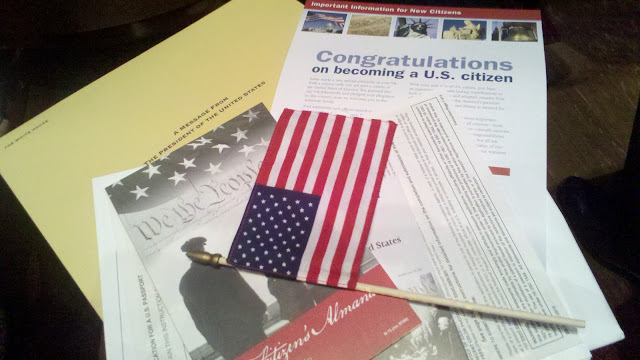 The New Citizens Welcome Package/”Kit” we received at the Naturalization Ceremony. 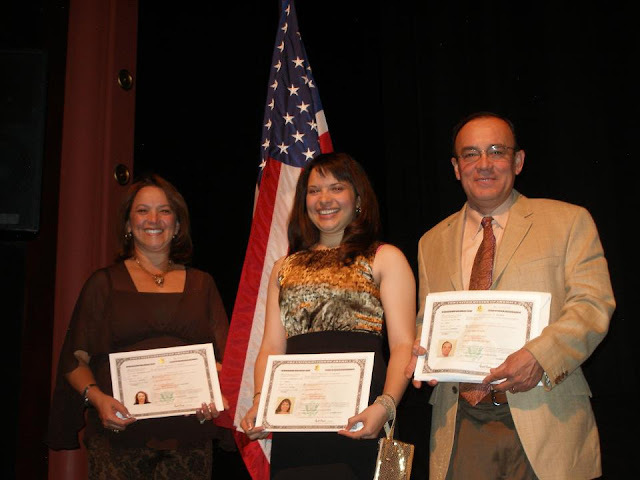 A year ago today, we became three of this country’s newest citizens!! “Proud“ couldn’t even grasp how we feel now and felt back then. Though it was a looong time coming (and yet nothing compared to the decades some of the other citizens-to-be attending the Ceremony had been waiting), I nevertheless was incredibly happy, overjoyed, relieved, and just in awe at having accomplished something that not only others take for granted, but that we fought sooo(…) hard to achieve. … OK, that was me not sharing everything, but it’s still a story I feel so fortunate at having experienced. I owe it all to my beautiful dad who went through sooo many troubles and stresses and my mom for having been our rock. So be good, exemplary citizens. You were born in the greatest, fairest country on the planet so live it up, be great “ambassadors,” and show others what your country’s made of.